Gensler has released a design forecast revealing the biggest trends in stadium design and amenities that are shaping the stadia and arenas of tomorrow. 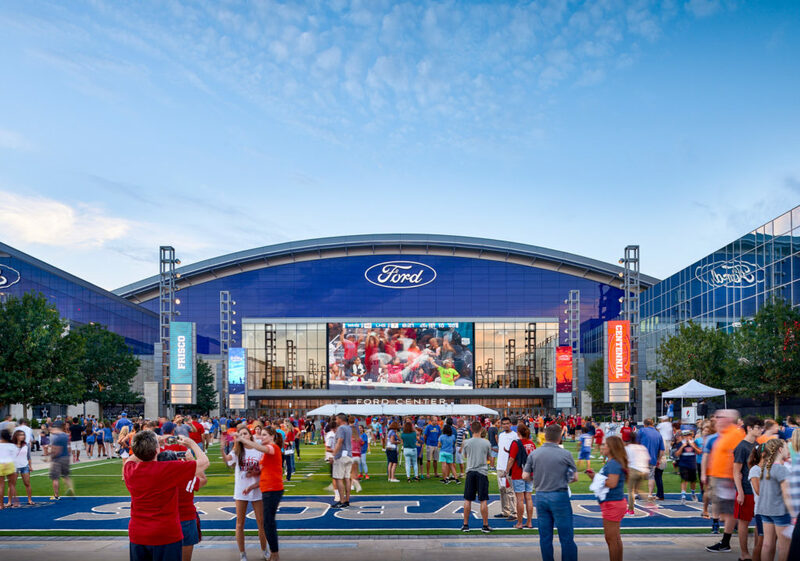 The annual report, which also looks at lifestyle, retail and commercial sectors, highlights the growing demands from fans and owners that are changing what features are most important to sports venues. Demand for new technology ranks high on the report, with improved connectivity at venues used not only as a tool to enable fans to interact during games but also to entice fans from their living rooms by offering improved ticket flexibility, immersive VR experiences and multi-screen content. Gensler also forecasts how advanced technology is becoming a crucial part of stadium construction, whereby the latest virtual and augmented reality technology is used to inform design, visualize results and gain approvals in real time. With stadium operators now focused on more than just sport, venues are seen as year-round, multi-purpose destinations that can help generate revenue and rejuvenate local areas and communities. The fan experience is one area that is key to this and is rapidly evolving. It is estimated that more than 50% of professional US soccer venues feature one or more dedicated fan zone and the offering of personalized experiences is blurring the lines between fan, hospitality and player spaces. Exclusive access to players, coaches and the field, according to the report, “must be the priority when establishing financial and experiential targets in venue design”. There has also been a rise in the focus on utilizing the stadium to boost player performance and wellbeing, according to Gensler. “Sports teams and owners are harnessing the potential of wellness, biometric feedback, tech monitoring and access to richer personal data to support players in optimizing their performance,” the report reads. Sports venues of the future will feature more physical spaces that incorporate comfort and become more of a sanctuary to enhance wellness. A reimagined locker room that is more like a hospitality experience is one such place where a player can benefit. “At the college level, the locker room is a vital recruiting tool,” says the report. 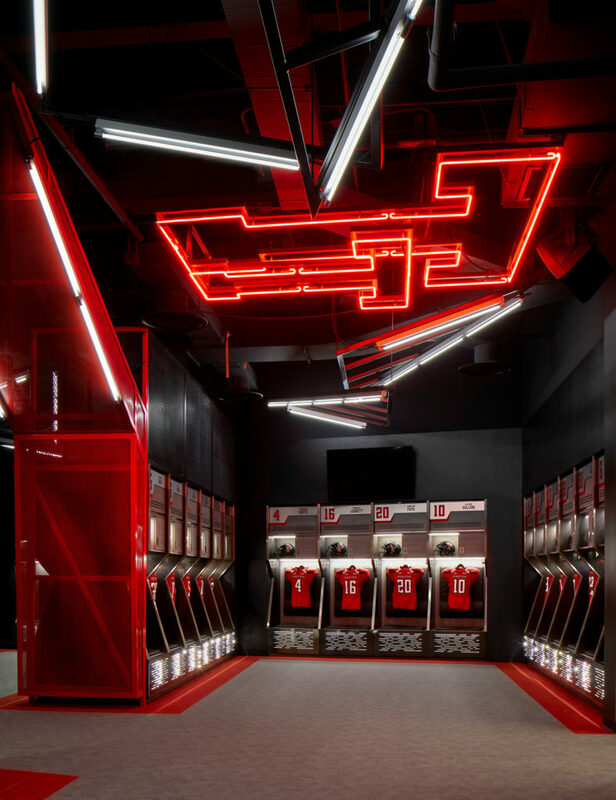 It looks at the newly renovated Texas Tech locker room as an example, which features a new players’ lounge, state-of-the-art lighting system and large HD televisions throughout. However, a successful and holistic experience is worthless if fans aren’t kept safe. The growing security threats are seeing changes in how venue operators implement methods to ensure safety. “As large venues become target-rich environments, the scope of security is extending beyond building infrastructure to look at mass gatherings of people. Security provisions at sports facilities and convention centers have been inconsistent. Sports organizations are incorporating extended secure zones and using facial recognition, digital ticketing and ID tracking to identify people inside and outside the venue. The new measure of engagement includes safer environments,” claims the report.